One of my favorite family recipes (aside from my mom’s ginger cookies and zucchini bread) has got to be these soft little cake-like banana cookies. 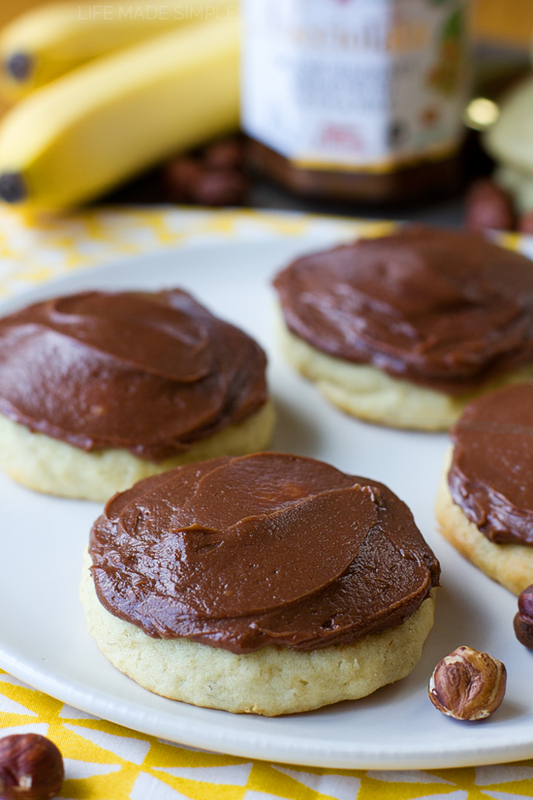 At home we call them banana jumbos, but really they’re miniature bites of banana bread turned into sweet cookies. They’re the best! We usually top ours with a layer of vanilla frosting and chopped walnuts, but today I’m giving them chocolatey cream cheese twist! A few weeks ago when I posted these Nutella filled s’mores cupcakes the folks at Rigoni di Asiago contacted me about trying their chocolate hazelnut spread, called Nocciolata. I loved that their version was more natural and free of palm oil. Needless to say, I was intrigued. Before I knew it I had box full of goodies at my door that I couldn’t wait to try. I seriously had to force myself not to open the jar and dig in. Ok, so maybe I ate a spoonful just to taste test, but you know how it goes… one spoonful, two spoonfuls, three spoonfuls and suddenly the entire jar is gone. Anyway, I quickly got to work making a batch of cookies. First, I combined the granulated sugar and butter in the bowl of my stand mixer and creamed it until it was light and fluffy, it took about 2 minutes. Next, I added the mashed banana (make sure your bananas are nice and spotted), egg and vanilla extract, and incorporated those until they were just barely combined. In a separate mixing bowl, I whisked together the flour, baking soda and salt. Then I alternated adding the dry ingredients and the buttermilk until a very soft dough formed. It looked similar to banana bread, maybe a little stiffer. Using a standard size cookie scoop, I dropped the dough onto the prepared baking sheets. I placed the cookies in the oven (one sheet at a time) and baked them for 10-12 minutes. You’ll know that the cookies are done when the centers spring back when touched. The cookies will look pretty soft, but that’s how they should be- ever so slightly brown around the very bottom edges. Once they were finished baking, I transferred them to a wire rack and then got to work on the frosting/toppings. Instead of using walnuts for the topping, I used hazelnuts. They seemed like the obvious choice. Once I had them toasted and they were cool enough to clean and chop, I made the frosting. 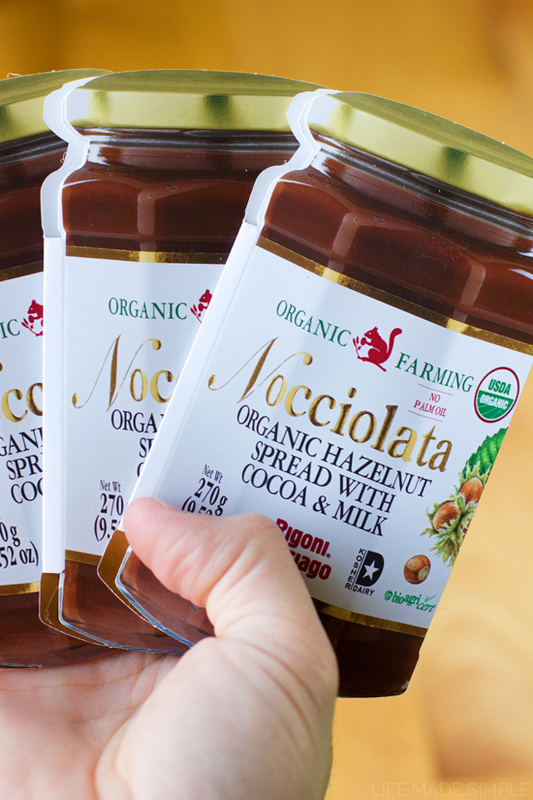 I didn’t want to overpower the taste of the Nocciolata spread so I came up with a really simple & easy 2-ingredient “frosting.” Cream cheese + Nocciolata, beaten on high for 1 minute. That’s it! 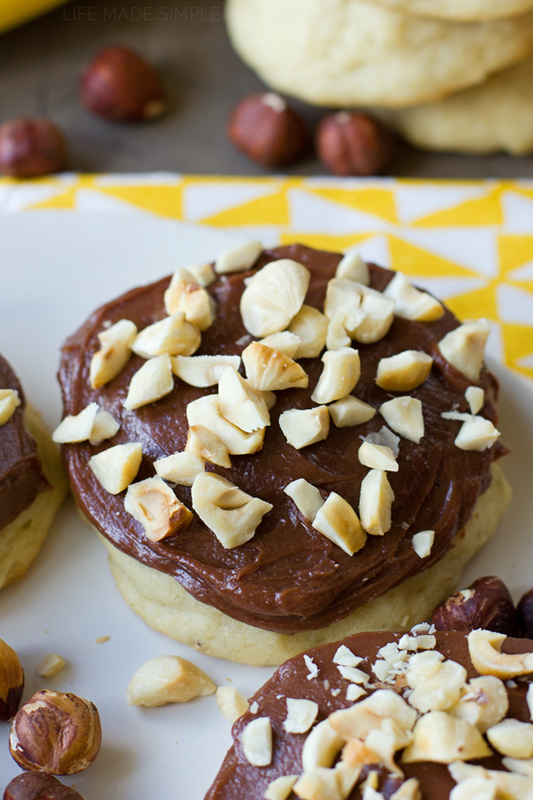 I used my offset spatula to spread it on the cooled cookies and then topped them with the hazelnut chunks. Perfection. Seriously though, they were incredibly delicious! 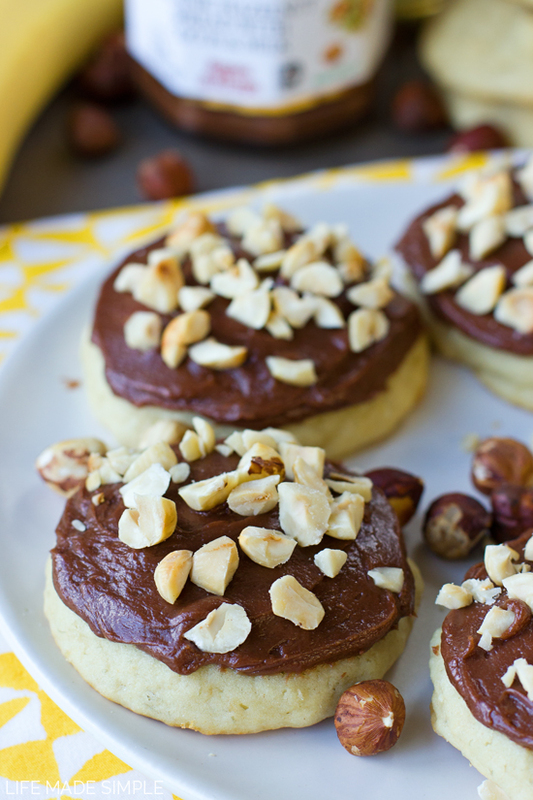 We really fell in love with this version of my mom’s cookies! I hope you’ll give them a try too. Enjoy & happy baking! 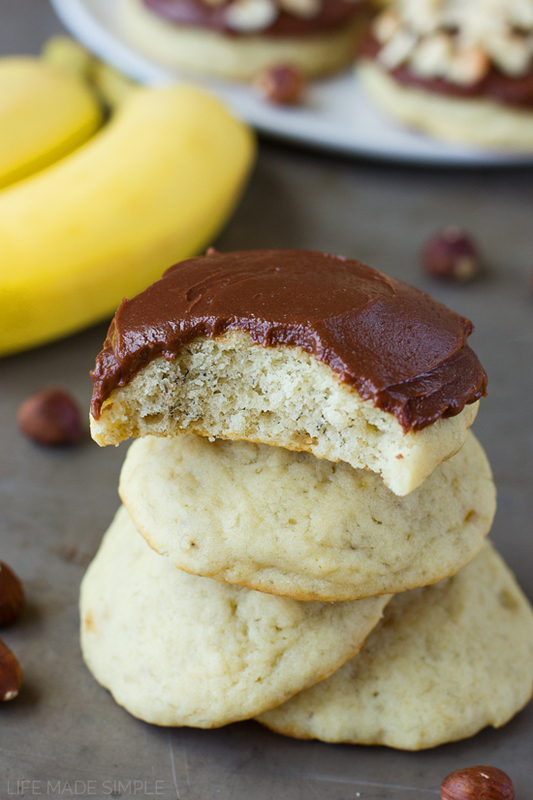 Incredibly light and fluffy banana bread cookies topped with the most amazing two-ingredient chocolate hazelnut cream cheese frosting! Preheat oven to 350 degrees, line 2 baking sheets with parchment paper or baking mats. 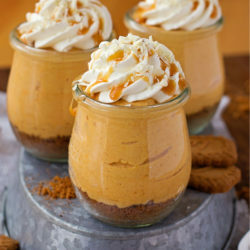 In a large mixing bowl or the bowl of a stand mixer, combine the granulated sugar and butter, cream until light and fluffy (about 2 minutes). Add the mashed banana, egg and vanilla extract, mix just until combined. In a separate mixing bowl, whisk together the flour, baking soda and salt. Alternate adding the dry ingredients and the buttermilk until a very soft dough forms. Using a standard size cookie scoop, drop the dough onto the prepared baking sheets. Place in the oven (one at a time) and bake for 10-12 minutes. 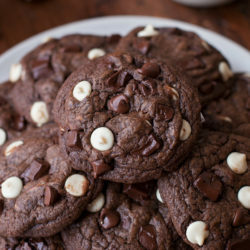 The cookies should still be soft but the centers should spring back when touched. Remove from the oven and allow to cool for 30 minutes before frosting. While the cookies are cooling, prepare the frosting by creaming the chocolate hazelnut spread and the cream cheese together, chill until needed. Spread over the cookies. 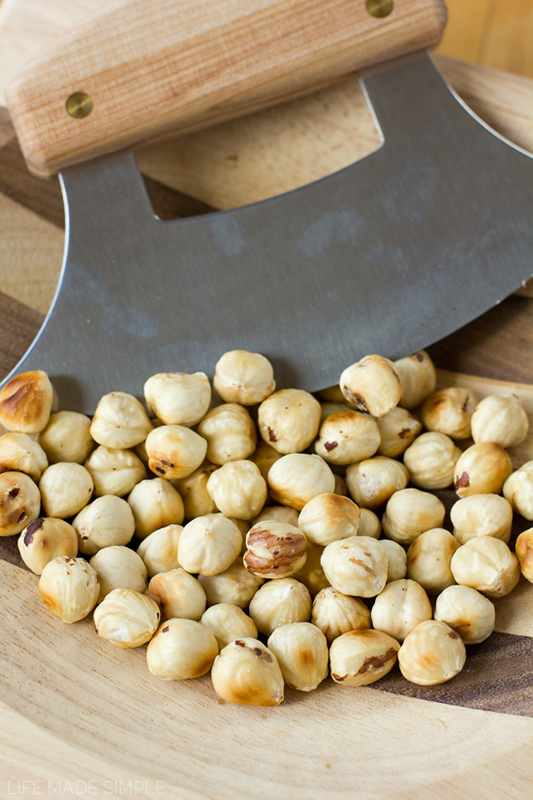 Toast the hazelnuts in a clean pan over medium-low heat until fragrant. Chop and sprinkle over the frosting. 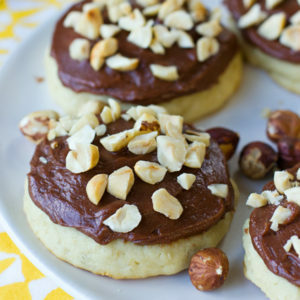 -You can add chopped hazelnuts to the cookie dough as well, they do not need to be toasted. 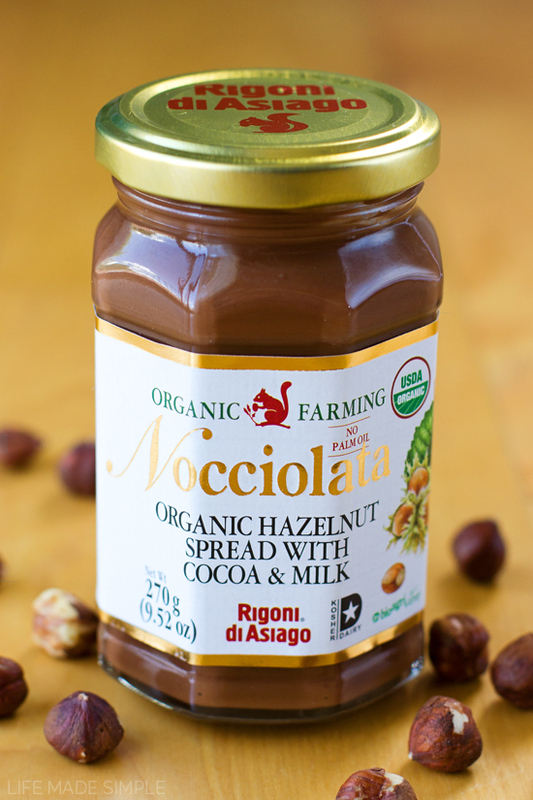 This is not a paid or sponsored post, however I received free Nocciolata from Rigoni di Asiago in exchange for my review. 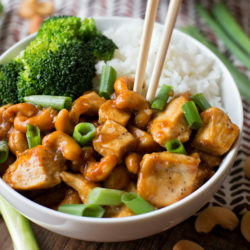 All recipes and opinions are my own.